What is the difference between fire alarm codes and fire alarm standards? The terms "code" and "standards" are commonly used to represent the same thing. However, the two terms stand for completely different meanings. Fire alarm codes are written rules and regulations that are then adopted as law for enforcement by an AHJ or Authority Having Jurisdiction. Fire alarm codes once put in place, are the minimum requirements that must be complied with to provide a reasonable degree of life safety. Codes are written based on standards. Fire alarm standards are generally produced by a consensus or technically committee to represent a minimum level of how to install certain types of protection. Standards are focused on one particular system component and give guidelines on the proper installation, maintenance and inspecting. 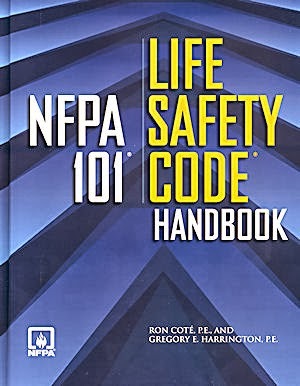 * Keep in mind that NFPA 72 tells us how to install fire alarm systems. It doesn't explain what type of equipment (pull stations, smoke detectors, duct detectors, waterflows, tampers) should be used. This information can be found in the specific jurisdiction's adopted building code. How you determine the Fire Alarm requirements. Check with your local authority having jurisdiction to determine what edition of the applicable codes they are currently enforcing. Most codes will determine the fire alarm and automatic fire sprinklers based on the occupancy classifications of the particular building. 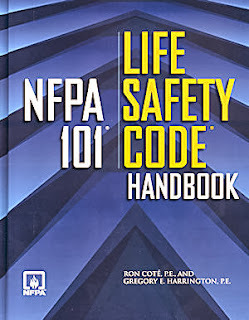 If NFPA 101 Life Safety Code is enforced, consult section 9.6 for the exact system installation requirements.